Free. But fees apply for the Rainforest Boardwalk. Bookings for the Rainforest Cafe can be made on 02 6582 4444. Self-guiding brochures are available at the Rainforest Centre. 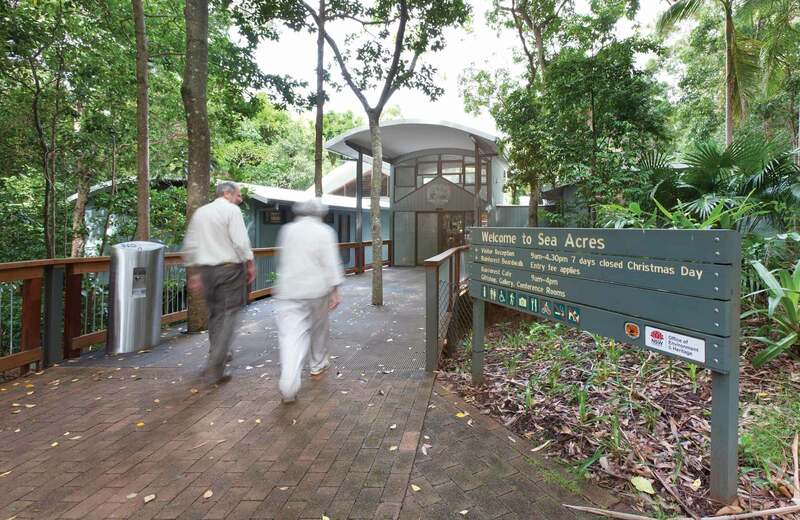 Sea Acres Rainforest Centre is the ideal place to begin your fascinating journey through Sea Acres National Park, near Port Macquarie. Eco-displays provide a wealth of information about local Aboriginal culture and the surrounding rainforest environment. There are also regular exhibitions of works by local artists, and a gift shop stocking a range of unique environmental products, gifts, crafts, educational toys and games. Chat to our friendly staff in the Sea Rainforest Centre - they're experts in the area so will be able to tell you all about Sea Acres Aboriginal bush tucker and Discovery tours. The Rainforest Centre has a theatrette that hosts a variety of local events and educational activities throughout the year, and is the meeting place for rainforest meditation that runs once a month. 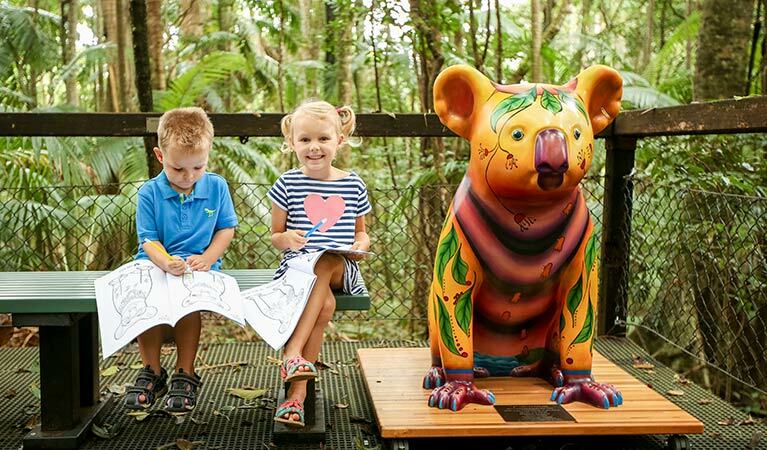 Stretch your legs along Sea Acres Rainforest boardwalk, or the adjacent Rainforest Cafe, nestled amidst a magnificent grove of bangalow palms, is a great place to stop and enjoy a delicious lunch as well as morning and afternoon tea. Sea Acres National Park is always open but may have to close at times due to poor weather or fire danger.